If you are looking to invest in Beacon Hill Real Estate or if you are looking for refinance your Boston Midtown condo or Downtown high rise condo now is the time to take advantage of low mortgage rates as before they rise again. 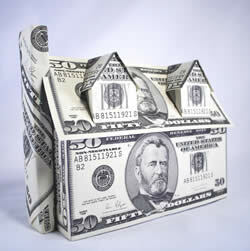 One important step to take while starting the process of contacting lenders would be to shop around. Don’t just settle with one quote, get out there and get more than one from different lenders to be able to compare and choose the best one. If you are thinking about staying in a Beacon Hill house for your mortgage refi be prepared for longer waiting periods should your home loan servicer be a larger lending institution. The New York Times and the article “Speeding Up Refinances” informs that large financial institutions show longer waiting periods as sizeable backlogs of applications and a shortage of personnel to handle the application process is of concern. Large financial institutions are being bombarded with applications due to the low interest rates about to rise in 2019 and government programs such as HARP. About 80 percent of applications received are for refinancing.